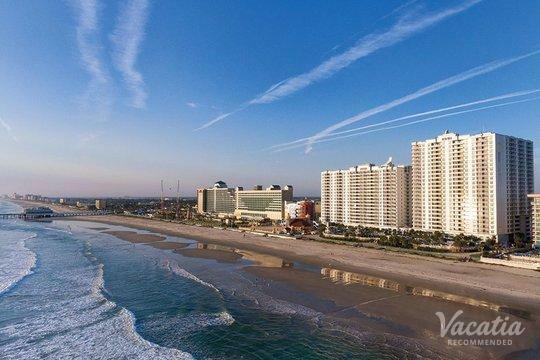 There are plenty of reasons why Daytona Beach Shores has become such a popular beachside retreat for travelers - it boasts year-round sunshine, a relaxed coastal vibe, and a stunning stretch of beach. Situated just south of Daytona Beach, this small coastal community is a hotspot for boating, water sports, and simply indulging in the beautiful beach. 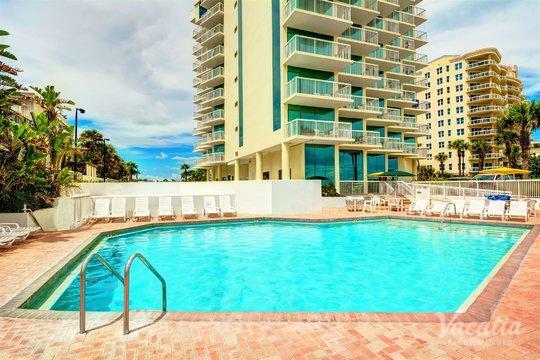 Because of its picturesque beaches and its laid-back lifestyle, Daytona Beach Shores attracts countless sun-seekers every year, and thus it has also attracted numerous world-class resorts. 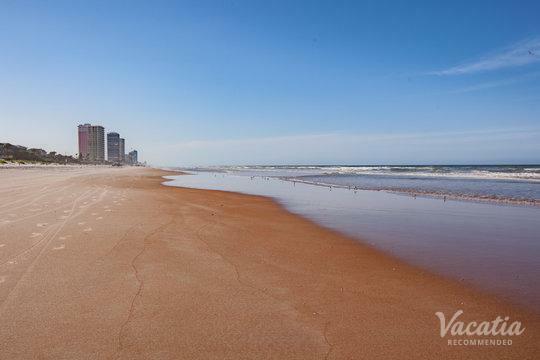 Searching through the vast selection of Daytona Beach Shores resorts can seem like a daunting task, which is why you should rely on Vacatia to help simplify your trip planning process. 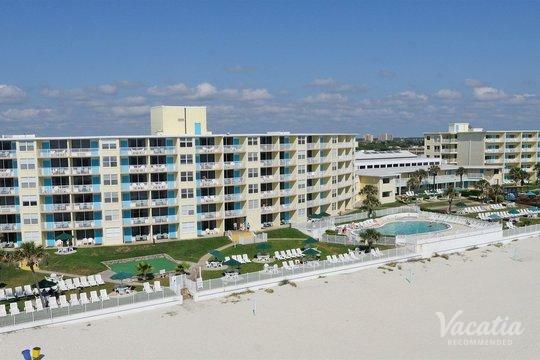 Vacatia can sift through the options of Daytona Beach Shores hotels until it finds your ideal vacation rental in this charming Florida beach town. 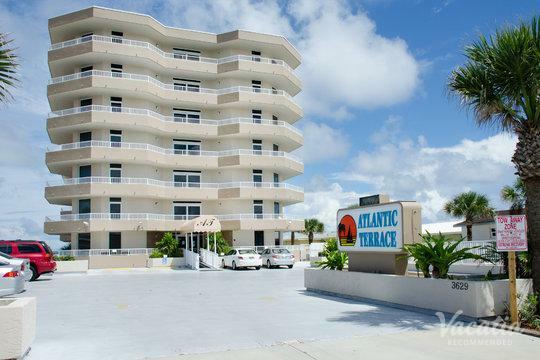 Vacatia's attentive Guest Care team strives to ensure a high-quality experience for their customers, and their selection of Daytona Beach Shores vacation rentals will certainly make your upcoming beachside getaway unforgettable. 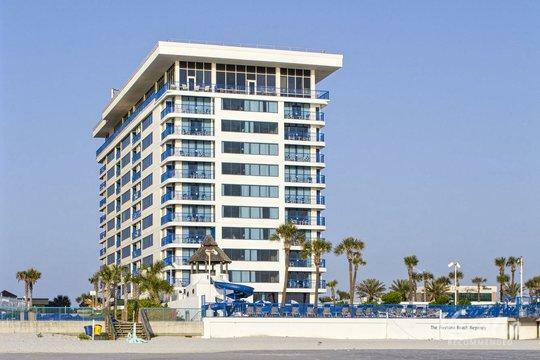 If you want to stay at one of the Daytona Beach Shores hotels that provide ample space, home comforts, and hotel-style amenities, you should work with Vacatia to book your accommodations. 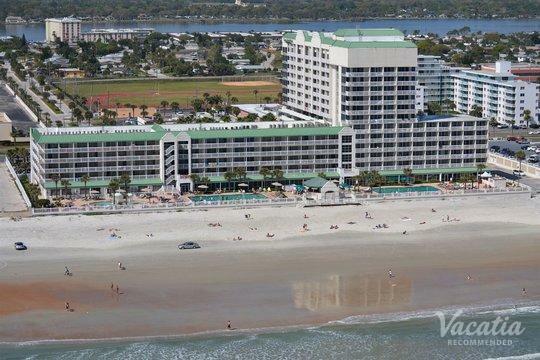 Vacatia knows that an uncomfortable hotel experience can have a significant negative impact on your entire vacation, which is why they select the best Daytona Shores resorts available for their customers. Vacatia's focus is on finding quality resorts and hotels that offer premier amenities, such as pools and spas, as well as extra living space and a handful of added comforts of home, such as a fully equipped kitchen and a spacious living room. Whether you are traveling with your entire family or just your significant other, having this extra space can make a huge difference in the quality of your vacation. 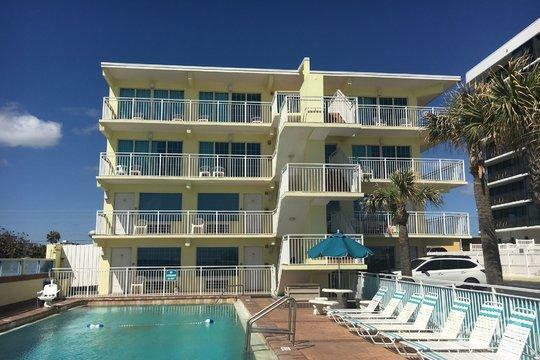 So make sure that you can spend your vacation soaking up the sun and indulging in the beautiful Daytona Shores beaches rather than stressing about your bad hotel situation - use Vacatia to browse the best Daytona Beach Shores condos for your upcoming vacation. Daytona Beach Shores stretches just 5.5 miles along the Atlantic Ocean, but it certainly packs a big punch in such a small space. 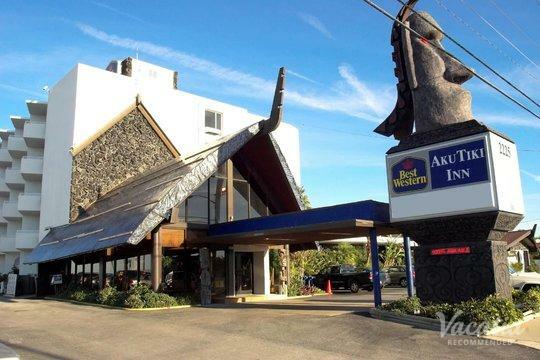 The community is still relatively new, as it was officially founded in 1960 in order to offer its residents and visitors a more secluded beachside getaway separate from Daytona Beach. 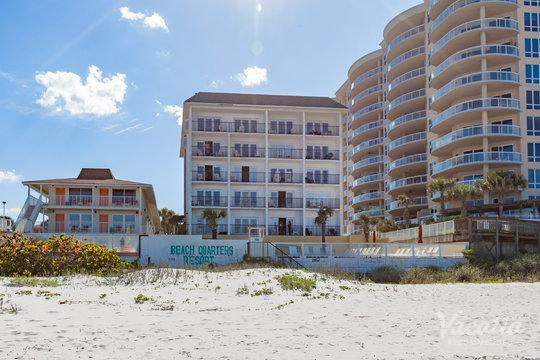 Since its founding, Daytona Shores has become one of the most popular beachside destinations in the U.S. Every year, vacationers flock to the pristine shores of Daytona Beach Shores to enjoy the stunning water, the white sand beaches, and the extensive selection of water activities. 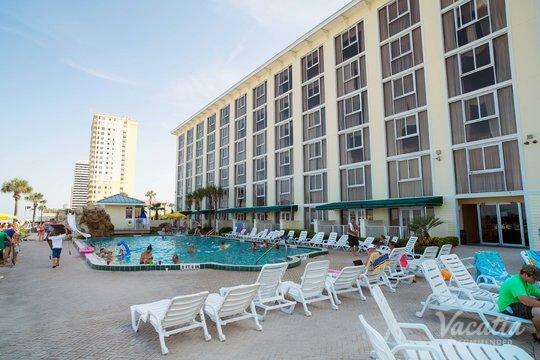 Daytona Beach Shores is a quintessential beach town, and thus its easy-going vibe is evident everywhere you go. From dining out at a restaurant to bicycling along the boardwalk, you too will want to soak up the laidback culture of Daytona Shores. 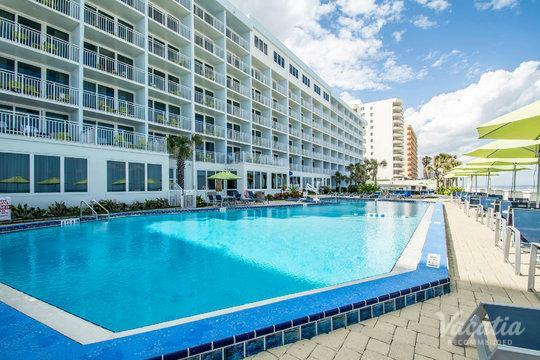 To make your upcoming vacation to Daytona Beach Shores absolutely perfect, be sure to rely on Vacatia to find the best vacation rental for you and your group.